If you’re dreaming of a stunning and unique entertaining area in your backyard, an outdoor gazebo could make your dreams come true. 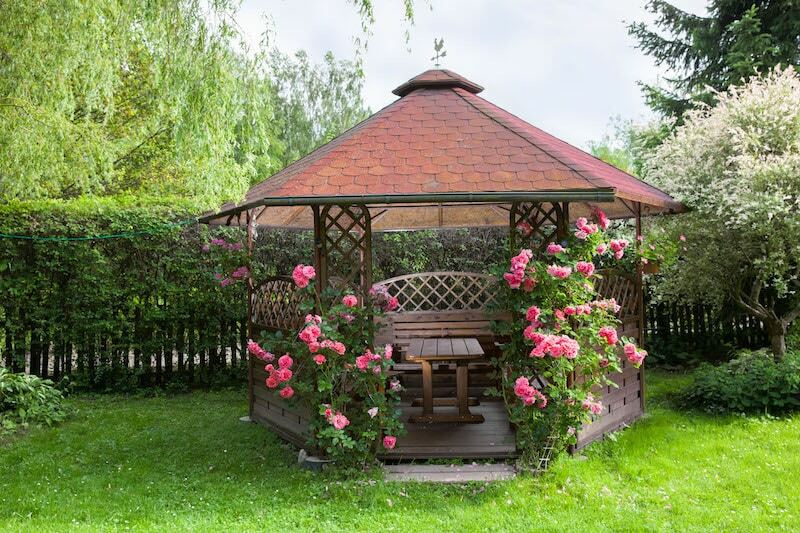 A permanent gazebo makes a classic addition to any Australian home. It’s a little piece of luxury for lovers of the great outdoors, giving you the ideal hideaway to enjoy a cosy meal, sit back amongst the stars or host your family and friends for the perfect dinner party. Your outdoor area should be an extension of your beautiful home, and complement the landscape of your backyard. Everlast can help you design, plan and build the gazebo you’ve been waiting for, no matter what style you’re after. From traditional wooden and practical to striking and bold, we have the range of colours and materials to build a family favourite hang-out for years to come. Everlast use heavy-duty materials that are built tough to last in the Australian climate. We build all of our outdoor structures using high-quality steel metal manufactured at our factory in Hoppers Crossing and only work with treated timber. Our expert tradesmen have been designing and building quality patios, verandahs and pergolas in Melbourne over 20 years, and know exactly what it takes to create the finish you deserve. What are you waiting for? Stop wishing and start building with Everlast today. Why Choose Everlast For Your Gazebo? Everlast Services are family owned company, that has been helping home owners in Melbourne create stunning gardens for 20 years. We’re part of the community and are always available to support you with your projects. We stand by our products 100% because we make them here at our state-of-the-art factory in Hoppers Crossing in VIC, Australia. Everything we build is to strict specifications to stand the test of time. Our expert tradesmen are highly qualified and provide a level of workmanship you’d expect from the best in the business. Our superior service puts your satisfaction first. Everlast Services do much more than gazebos. We can help with your landscaping, concreting, decking, fencing and more – all under one roof. We can help you with all of your outdoor needs to keep your costs down and efficiencies high.